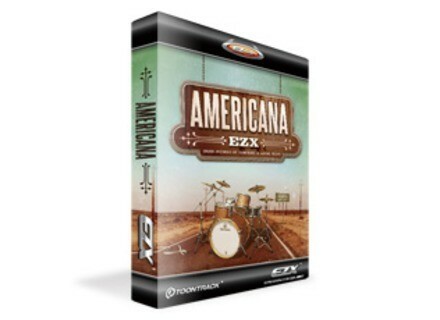 Americana EZX, Virtual Drum/Percussion from Toontrack in the EZ Drummer series. 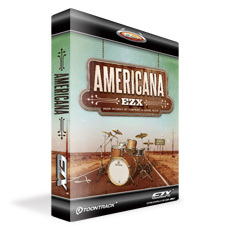 Toontrack's 13th EZX expansion pack for EZdrummer and Superior Drummer 2.0 is called 'Americana'. If you purchase and register your Americana EZX in October you'll get a chance to win a hand carved custom made guitar. Camel Audio Alchemy v1.25 Camel Audio has updated Alchemy and Alchemy Player, the sample manipulation software synthesizer and player plug-ins for Windows and Mac. Cinematic Tension Steamed Cinematic Tension has released Steamed, a mallet sample library for Native Instruments Kontakt.